Must-sees in Tangier include the fortified 17th-century kasbah, a fortress of winding alleys and old buildings; and the city's main square, the Grand Socco, which comes alive as a food market at night. The city also has some good museums, including the Tangier American Legation Museum, the first property of the United States on foreign soil, and the art museum housed in the formidable Dar El Makhzen, a former sultan's palace. Natural attractions include the lovely Dalia Beach and the storied Cave of Hercules. 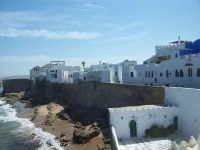 Tangier also boasts many beautiful palatial residences of varying styles in its Marshan villa district, about 15 minutes' walk from the medina. One of the most attractive of these is on the Rue Muhammed Tazi, which used to belong to United States multi-millionaire media magnate, Malcolm Forbes. The house is open to the public and contains Forbes' collection of about 8,000 miniature soldiers. There are a number of fun excursions possible from Tangier and travellers can enjoy the mountains and the coast near the city. 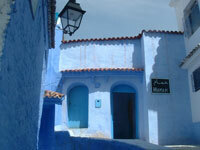 The picturesque seaside town of Asilah is close by, and so is the gorgeous medieval mountain retreat of Chefchaouen. A collection of art from all over Morocco is housed in the imposing Dar el Makhzen, a former sultan's palace dating from the 17th century. The word socco is the Spanish version of souk, meaning market, and has stuck to this square in the heart of Tangier because of its Spanish heritage. 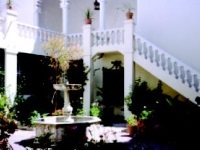 In the midst of the old medina in Tangier, the US has provided a thriving cultural centre, museum, conference venue and library in the only historic landmark of the United States that is located abroad. We are looking for contributors for our Tangier travel guide. If you are a local, a regular traveller to Tangier or a travel professional with time to contribute and answer occasional forum questions, please contact us.